The weather's getting colder, isn't it? Summer's long past, but Spotlight can still provide a little warmth with this month's feature on Lawrence Alma Tadema's masterwork, Spring. Here's how it works: on November 1st, you create a self-portrait using any medium you like. That's it! I thought it'd be interesting to see what Ludlow Art Society members come up with this year, so, if you take part, it'd be fantastic if you emailed a picture of your work to me at samsketches@yahoo.co.uk, and then I'll gather them all together for a mini-gallery blog post right here! 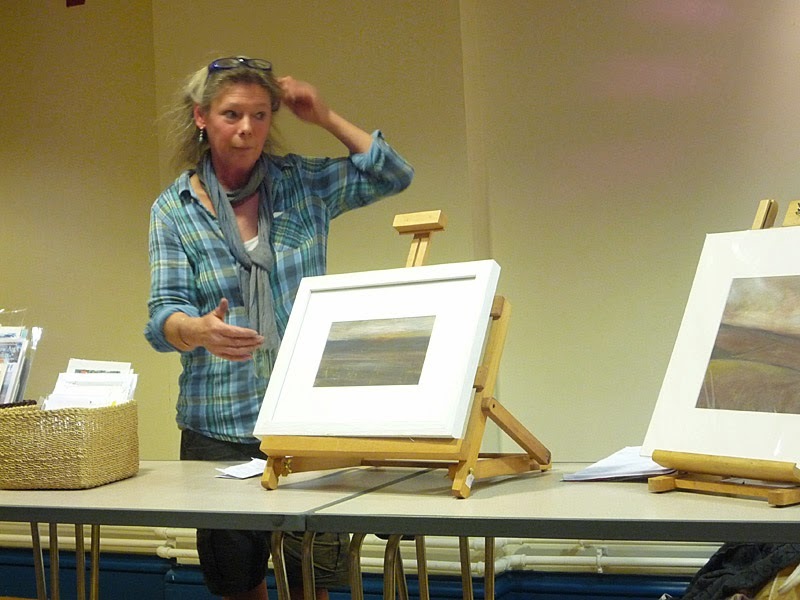 For our very last event of 2014, on Thursday 6th November we have local artist and LAS Committee member George Loades - who claimed both the top spot for the public's choice and the Silk Top Hat Choice in our 2014 Summer Exhibition - giving us a demonstration of his watercolour techniques, and talking a little about his process along the way. Please arrive 7pm for 7.30pm, it's £3 for LAS Members, £4 for guests, and everyone's welcome. Tea, coffee and biscuits provided. Hope you can make it! This may be of interest to LAS members, and is being run by Jo King, curator of the Ludlow Open and the lady who opened our Summer Exhibition. 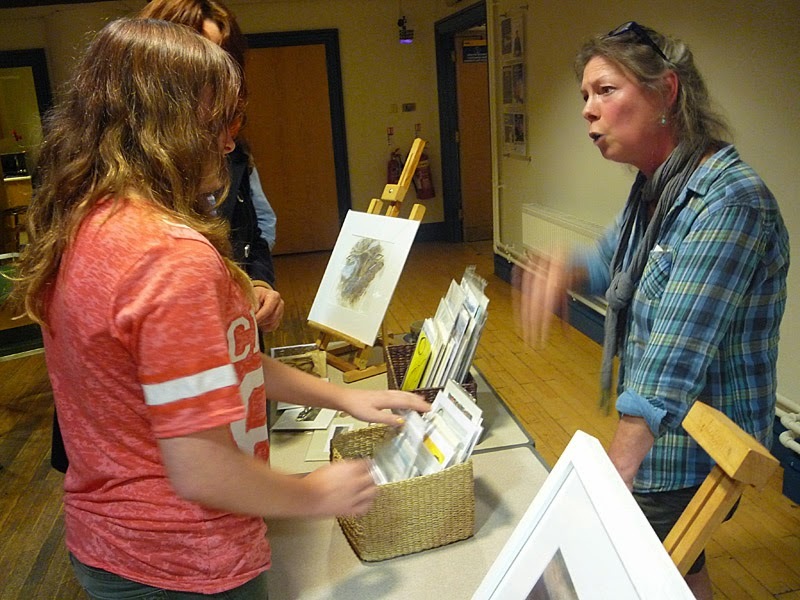 LOAD (Ludlow Open Artist Development) Workshops are offered only to artists living/working in The Marches area (Shropshire, Herefordshire & Gloucestershire). We are delivering 3 half day workshops in two series throughout autumn/winter 2014/15. These can be attended individually or as a complete series, depending on your interest and schedule. To facilitate access each workshop is held in a different location in The Marches. Arts Council England have recognised that it is difficult for artists in this area to access business development support; LOAD workshops have been developed as a response to this and I am very grateful for the Arts Council’s support in subsidising these workshops, and hope you all find some valuable interest and stimulation. Places are limited so please book in advance to confirm your place. A three hour participatory workshop unravelling and demystifying the art world, including how to evaluate your own practice and place in the art market and what to DO about it. Date & time: Thursday 20th Nov 2014, 10am to 1pm. 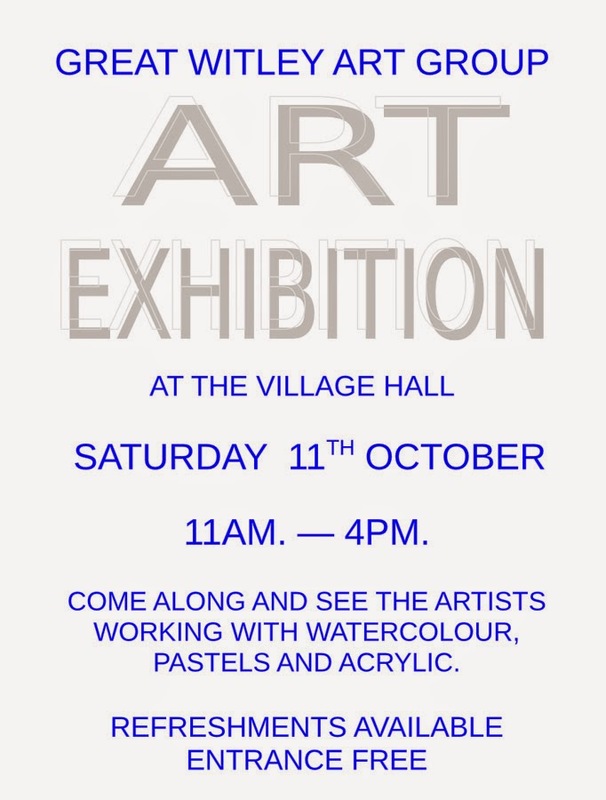 Venue: Yarpole Village Hall, Yarpole, Leominster HR6. Cost: £10, by cheque or online transfer in advance of the workshop. How to book: By email to info@ludlowopen.org, and I will forward payment details. Refreshments: Tea, coffee and cake courtesy of Ludlow Open. To facilitate informal discussion places are limited to 10, and I already have a few booked in, so do contact me asap to book a place. And please forward this email to anyone you feel may be interested. The other two workshops in the series will be held in December, they are on Funding and Public Art Commissioning and on Marketing for Free. More info to follow. Please do contact me if you would like any further info or want to book in. Please note, we have updated our Membership Forms - they're now to be sent to a new address, as our Membership Secretary has moved! As always, the forms are on the Membership & Exhibition Forms page to the right. Don't forget, renewal of membership comes up next month! 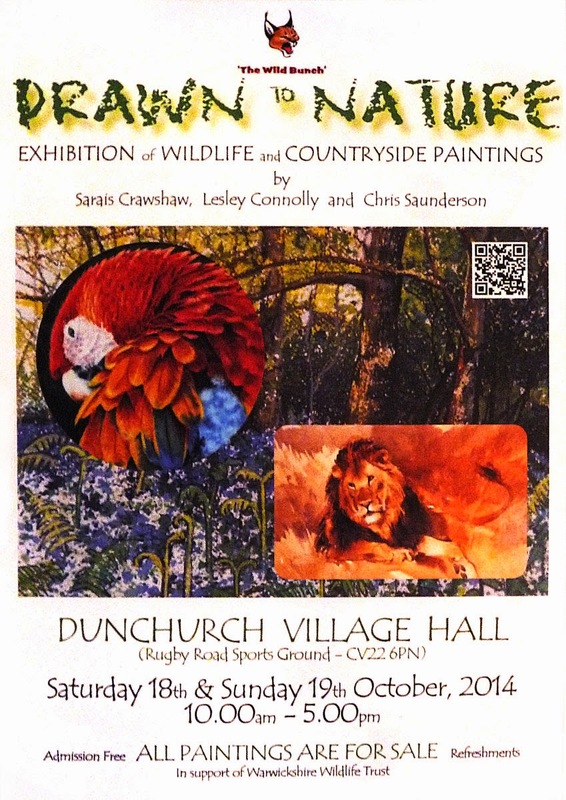 This may be of interest to Ludlow Art Society members. You might have heard by now that the Ludlow Arts Festival has been axed (story here: http://www.ludlowadvertiser.co.uk/news/11550654.Shock_as_Ludlow_Arts_Festival_is_axed/) - this is a meeting inviting everyone local to come along and see what the Fringe Festival is doing. The poster below has all the details, and I'll be there as visual arts and LAS representative. Update on November Talk - Raf out, George in! Unfortunately, our planned talk for November, 'The Canvas Print Studio of Raf', has had to be cancelled as Raf sadly cannot be here for that evening. 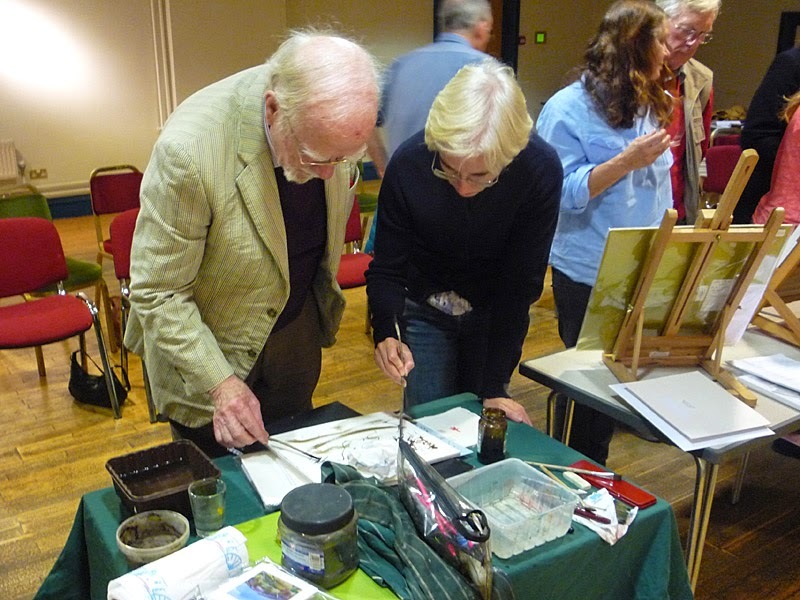 However, the very talented LAS member George Loades, who won Best in Show in our recent exhibition (as well as winning Silk Top Hat choice), will instead do a watercolour demonstration for us! All other details remain unchanged - it's at 7pm for 7.30pm on Thursday 6th November at the Assembly Rooms, there's be tea, coffee and biscuits, and it's £3 for members, £4 for guests with everybody welcome! 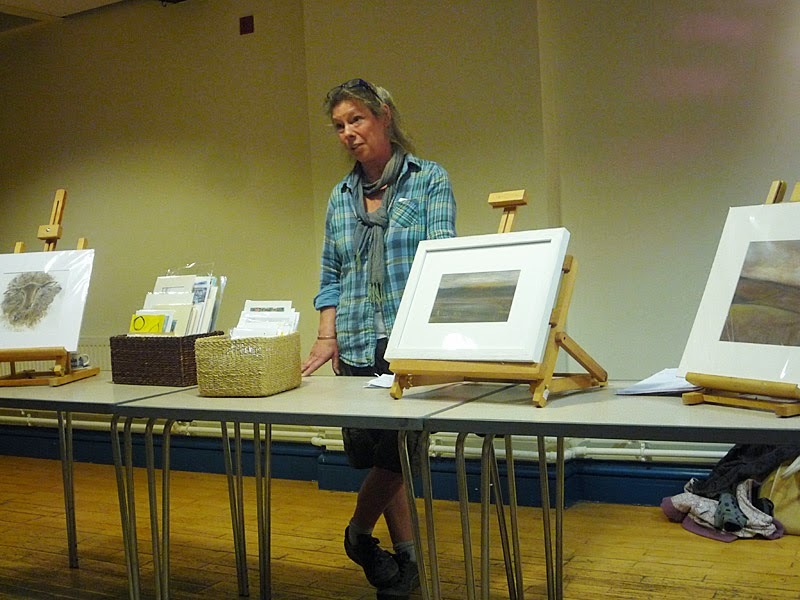 Well done to LAS members Tom Crowe, Rob Leckey and Val Littlehales, who all have works exhibited as part of the Shropshire Open! 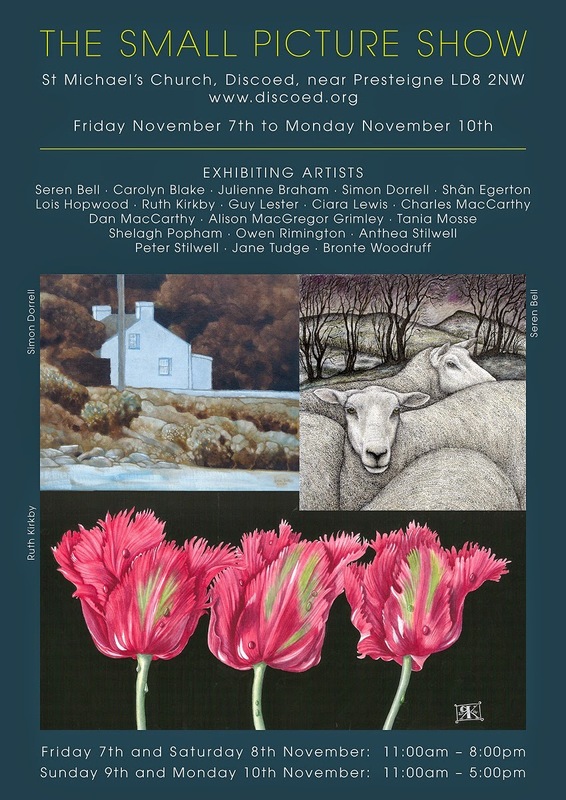 From Monday 3rd November until Saturday 8th November, LAS members Jane and Bill Sneary are exhibiting their works along with those of twenty other members of the Hereford Leisure Painters. This is at South Chapel, All Saints Church, Hereford and it's daily from 10am - 5pm, except on the first day when it's open from 10.30am. A warm welcome awaits! Dru Cole sent this email along - perhaps some LAS members are interested? I am going to run another Beginners and Improvers Linocut workshop each month and I have one place left for the October session. Once more it will be £40 per day - 10.00 - 4.00 including all materials, but excluding lunch. 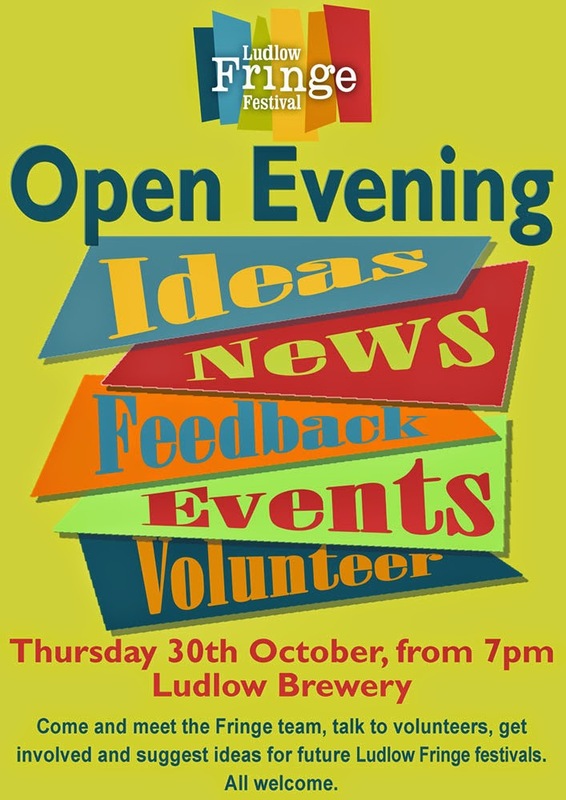 Please bring yourself, any equipment you would like to use, an apron and lunch, some sketches or ideas or use my extensive library! I intend to run another one on Wed 26th November - please contact me if you would like to come to that one. Thursday 4 December 14, one day workshop making a linocut or scratch foam print suitable for use as a Christmas card design. Five blank cards supplied...A6 ( 105 x 148mm) white cards with matching envelopes are provided together with a piece of lino and scratch foam which will fit the cards. There will be cutting tools, inks etc available for use. You can print straight on to the card or perhaps onto interesting paper to stick to cards later (I have a small selection) or print onto a bit of fabric which you might wish to embellish at home. Do bring more cards of your own, plus any scraps of textured or patterned paper and some ideas, maybe some of last year's cards to 'borrow' ideas from. 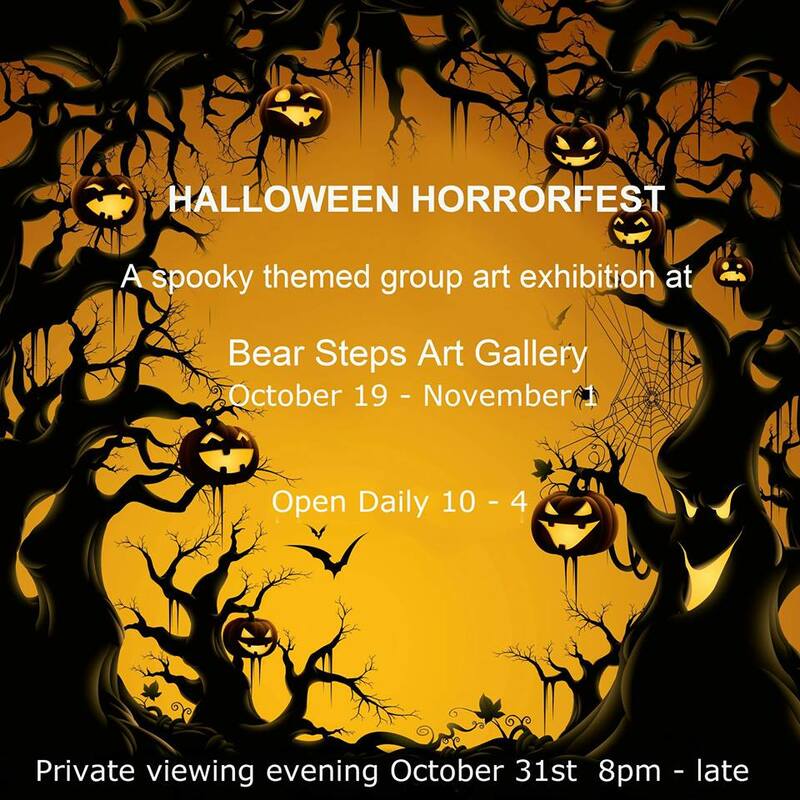 If you're in the area, go take a look! Ludlow Assembly Rooms, "Shropshire's Lively Arts and Community Centre", will unfortunately be notably less artistic from now on - they will not be displaying exhibitions of artwork on their walls in the near future, at least. In response to a query, the LAR say: "There are no plans to bring exhibitions back at the moment due to the building work that is about to begin. However, once the new combined Box Office and VIC has opened on the ground floor, we hope to start holding exhibition again." A lady called Jenny, from Greens Solicitors, recently contacted LAS member Diane Jennings, asking if she could create a background painting for a play which opens in a couple of weeks. Diane was too busy to take this on, so gave it to me to pass on. Details are a little sparse, but here's what I know: there is wood covered in canvas which has to be painted to look like an old panelled room, and there is payment involved. If you're interested, please get in touch with Jenny at 01584 873918 (the solicitor's number). New information just in - "this is on behalf of Mr Whittle of Here To There Productions who is performing Yes Prime Minister on 23rd, 24th and 25th October at Ludlow Assembly Rooms. Mr Whittle is looking for someone who would be willing to paint 12 pieces of flats (wood covered in canvas) for theatrical scenery. He wants the flats to look like an old panelled room with doors. They are currently in a store room in Leominster which is where they would need to be painted. The work would need to be completed by 21st October in readiness for the play. " The job has now been taken. 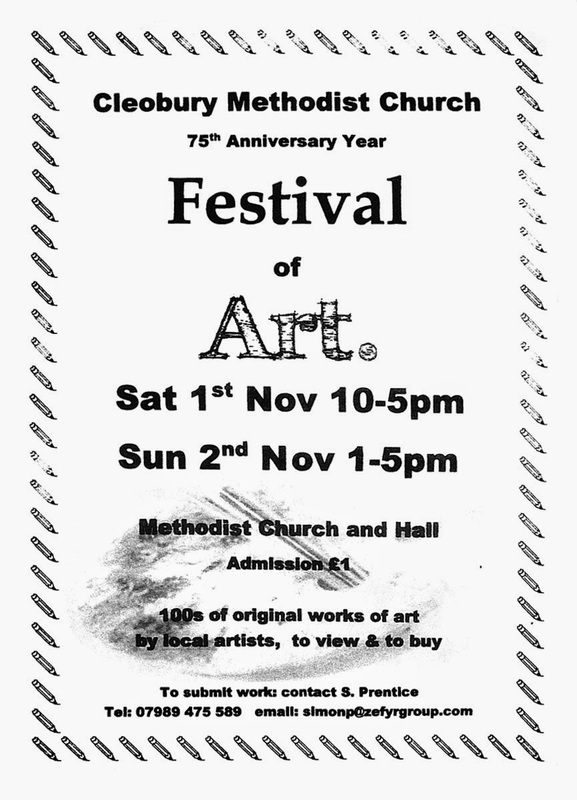 If you were at the meeting this evening then you know all about this, but, if you couldn't make it, here are the details for the Cleobury Methodist Church 75th Anniversary Year Festival of Art. It's £1 entrance fee, and it's also only £1 per picture to exhibit (although I don't have the final dates for submitting work, so if you're interested it's probably worth inquiring). Brontë talked about her life, how she discovered her artistic leanings at an early age and how, over time, she was able to pursue painting, enter her work in shows and learn to curate. She told us about her chosen materials, particularly Van Dyke crystals, and offered us all an opportunity to experiment with the warm, dark washes the crystals allow, while answering questions from a curious audience. In the meantime, don't forget we have our annual dinner coming up, at the Chang Thai Restaurant on Sunday October 12th, and the food promises to be beautiful. You should all have received an email with all the details, but if for some reason you didn't then just drop me a line at samsketches@yahoo.co.uk and I'll fill you in.